Do you like Epic Robot Tournament? Share it with your friends. 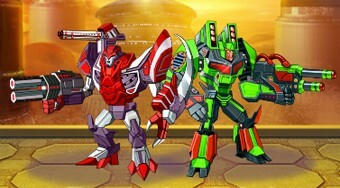 Assemble the parts of the combat robot and then fight one another in combat, fighting with other robots.